On Wednesday we had our Leavers’ Assembly. 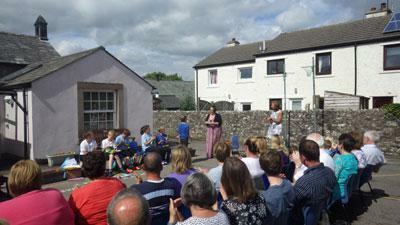 The sun was shining for our very special celebration for the Y6 children reaching the end of their time at Asby. We had six children in Y6 this year: Adam, Max, Thomas H, Sophie, Charlotte and Thomas N. It was their time to shine and celebrate the highlights of their time here. 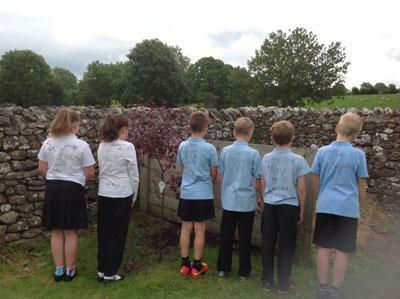 They each shared their own memories of Asby School which were very entertaining! They also performed two songs of their own choice with Eliza. We had a presentation of certificates and awards from the spring and sumnmer term. 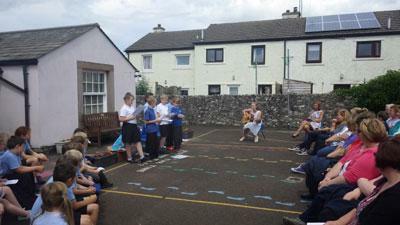 Mrs Elstone wrote her own poem dedicated to each child it was lovely and very moving. The Y5 children presented them with a memory book; these were full of special photos and messages from the staff and children. Sam Jackson also presented them with a gift from the Friends of the school committee. To finish we had a bring and share afternoon tea- thank you to all of the parents who brought in items for this. 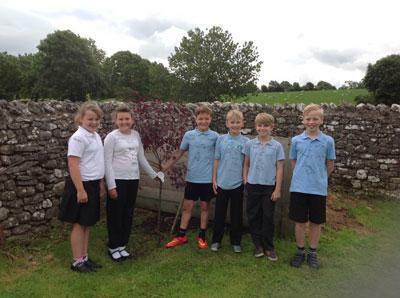 The parents of the Y6 children clubbed together to buy a cherry tree this was planted yesterday on the school field. They have also made a special plaque to go beside it. Mrs Smith also thanked Liz Rogerson on behalf of everyone at Asby as she is stepping down from chair of the governors after many years of hard work. We also said a big thankyou to Sam Jackson who is also stepping down as dinner lady after two years. Carol Marston and Joyce Law are taking over this role.